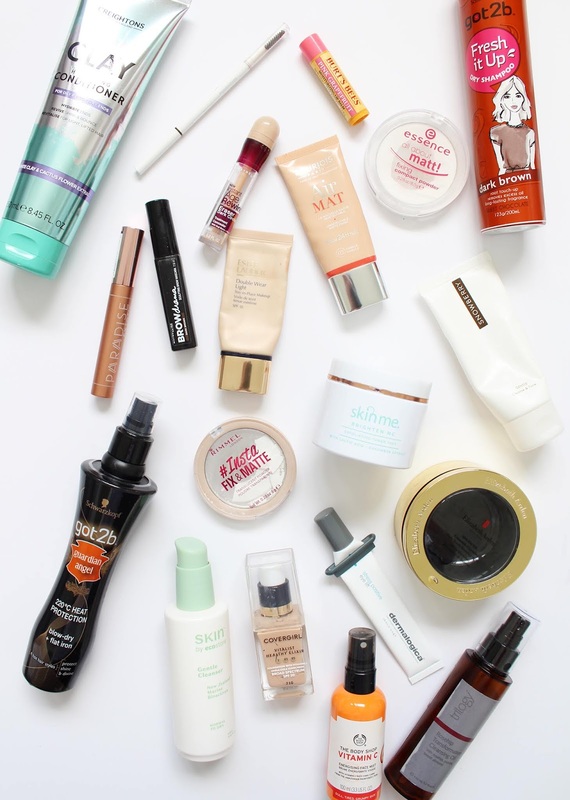 I am getting a little behind on my Empties reviews so this is a bit of a catch-up and you can expect another Empties post in a week or so. I enjoy sharing these because sometimes I don't talk about a product the entire time I'm using it and I always find it interesting to see what people are actually finishing and if it worked for them or not. 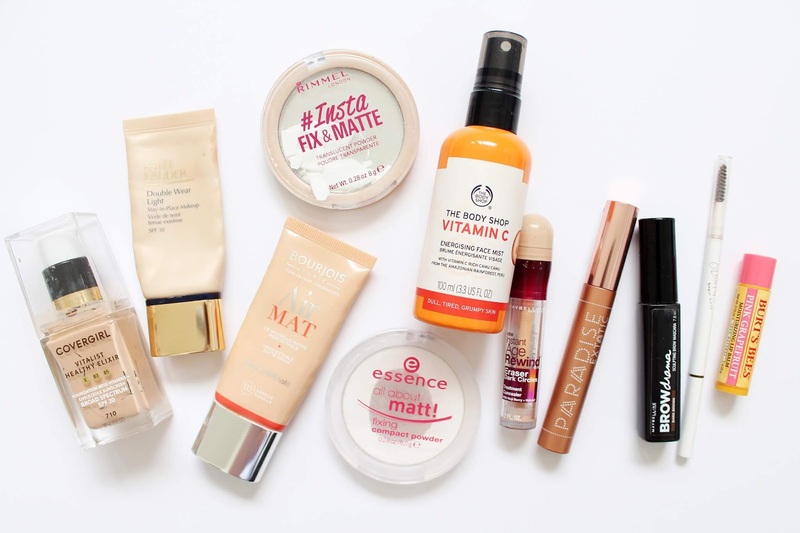 I've talked about this brand in an Empties before, but I was so impressed by it and it's also really affordable too. The Clay range is designed for oily roots and dry ends which is a common problem especially if you have long hair like mine is. In conjunction with the shampoo (which I have also finished, not sure where the bottle ended up! ), this combo worked well to clean my hair thoroughly and also I found it wasn't getting as oily throughout the day. A heat protectant spray is a must for me and most of them work much the same. This was one of those ones that just did its job, it wasn't anything life-changing, but it helped to give my hair a bit more shine and prevented my hair from getting too dried and damaged at the ends. Along with the heat protection spray I was also sent some of their new dry shampoos - one of these was a major miss for me and the other worked well. 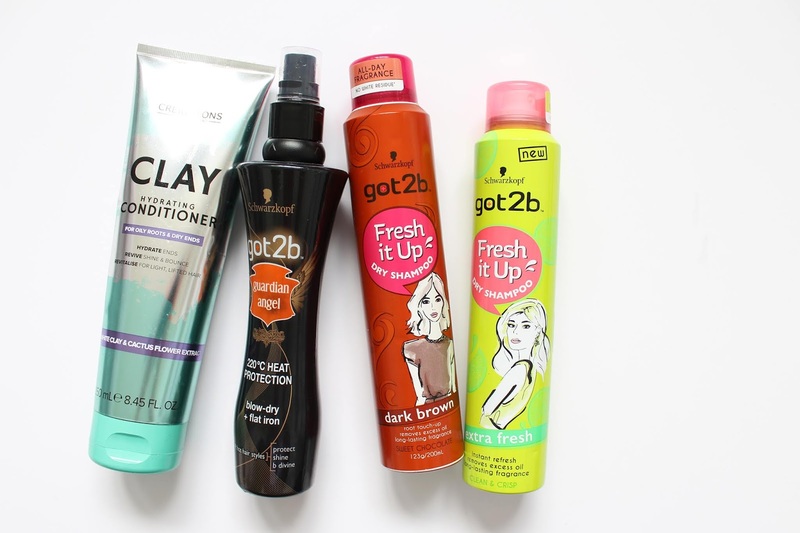 The tinted Dark Brown Dry Shampoo was a complete and utter fail for me, so much so that I still had half of the can left but I just couldn't keep using it. 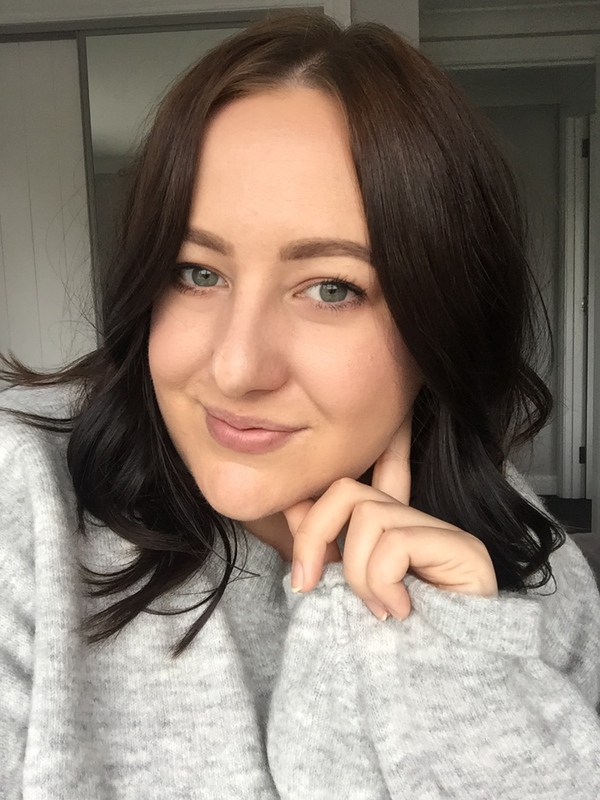 As a dry shampoo, it worked well but it was the colour that would mark and stain my skin and I would end up with small dots of brown all over my face. It was a mess and totally not something I want out of a dry shampoo. The Extra Fresh version worked like a normal one; it was white in colour but didn't leave a cast and helped to refresh the hair. It wasn't my favourite and I'm not sure I would go out of my way to buy it as there are others available that I prefer. I am a big fan of cleansing oils for removing makeup - because I am a daily, heavy wearer of makeup, something oily just helps to melt it all away at the end of the day. Trilogy released this one last year and I loved using it. It smelled lovely and the oil worked quickly to remove my makeup and left my skin feeling soft with no residue. As an all natural option, this is a winner! 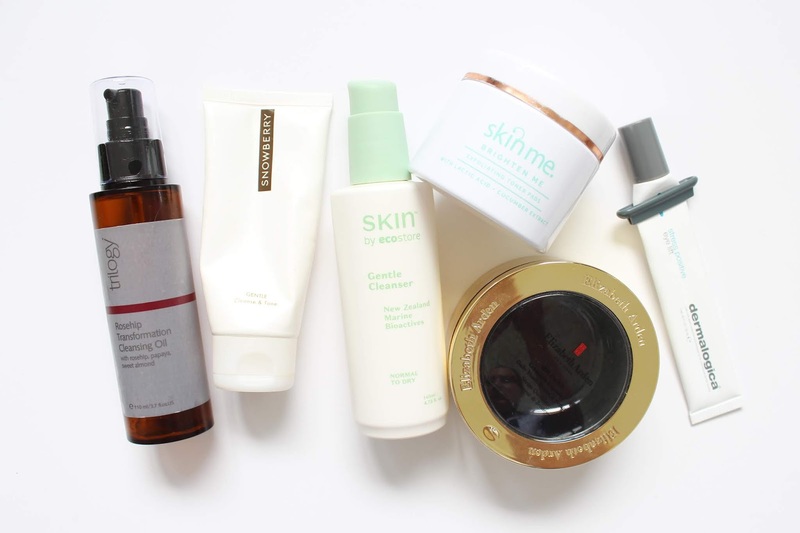 Back in August I worked on a sponsored campaign for Snowberry and reviewed and tried out three of their cleansers which I've had on rotation. You can read my full review here and after finishing it I am still a fan and loved how it made my skin feel. I tend to have a different cleanser in the shower and in my cupboard so have a couple on the go most of the time. This one is from the skincare range by ecostore who started out making all natural cleaning products and have recently launched into skin and body care products. Overall, it was a good lightweight creamy cleanser that was very gentle on the skin. This would work for all skin types and would be great for teenagers wanting to start getting into a skincare routine. The packaging is great with the pump dispensing the perfect amount of cleanser needed. I went to look this up to check the details for it and unfortunately, it looks like this NZ brand no longer exists which makes me so sad because these were great and I loved their cleanser! My god, I miss using these! It was a sad, sad day when I popped the last of these golden capsules. They're probably one of the most luxurious products I have used and the price tag is justified because they worked so well and made my skin just look and feel better. EA often have good 'gift with purchase' deals so I will keep an eye out so I can get these back into my skincare routine ASAP. This is definitely one of my favourite skincare discoveries of 2018 and this is the second tube I have gone through. If you get puffy around the eyes and have quite bad under eye circles, this is the perfect product for you. It's super cooling and the application of it wakes you up almost instantly! I love the hydration I get from this and that it helps to brighten too. This foundation has fast become my holy grail and is one of the best makeup discoveries of 2018 for me. I have oily/combination skin and I always find my foundation breaks up on my skin and just gets oily pretty quickly throughout the day. There are very few foundations that work and last all day for me - this is one of them. It has medium buildable coverage but it feels lightweight with a satin/matte finish. My only issue is that when you get to about a quarter left, the pump just stops pumping so I have to scoop it out, other than that I am a big fan and I am already into my third bottle. As I mentioned above I have trouble finding foundations that don't break up on my skin, this is one of my other favourites. I like the original Double Wear foundation, but I think I may like this one more as it is just a little bit lighter and easier to work with whilst still providing great coverage on the skin. I definitely need to get another tube of this for when I want a full coverage finish. More foundations! I actually had a clear out, hence the three in a row (I didn't just use these all up over the space of a couple of months!) This is another good foundation, it's not as good as the two above but it is seriously matte but feels very light. I find this can cling to dry areas and wrinkles on the skin if you layer it up too much. This also has a pretty bad shade range available. As you can see this perfectly good powder shattered on me when it still had quite a bit left! I really like this powder and went out and bought another right away. I always need to use a powder and this one works to keep me matte and it's also great for touch-ups. This one is very similar to the Rimmel one but so much cheaper (around NZD $6 if I remember right!) It's a fine translucent setting powder that helps to prevent the shine. This was sitting in my drawer with only a little bit left to finish up so I used it steadily for a couple of weeks. I don't think they still make this one, but they have variations of it available. It's a really nice fine spray, works great under makeup to prep the skin and over makeup to take away any powderiness. If you ask me what concealer I use under my eyes, this will always be my answer and it has been for years now. It is such a good product and I love the Brightener shade (pink tone) and the shade Fair to help brighten and conceal my under eyes. I totally recommend this to anyone! This is turning into products that are my holy grails, with this mascara bring another one on that list. If you want thick, long volumised lashes with no clumps, this is your one. I have basically ditched all other mascaras and purely use this one! This product has received some pretty bad reviews but honestly, I really like it. Most people have an issue with the rounded bristles of the brush but I don't mind it at all and find you can be a bit more precise with it. It's very lightweight in the brows but helps to give them a bit more colour and holds the hairs in place. This pencil features every couple of months because it is basically all I use in my brows and I love it. Along with the other Colourpop Brow Pencil, the two provide everything I could want. This one is a bit lighter and looks more natural in the brows. If you are a fan of Anastasia Beverly Hills Brow Wiz, you will really like this one and it's a fraction of the price! Burt's Bees are one of the OG lip balms available and I still love using them. I have one in my handbag at all times as they're quick and easy to use and hydrate your lips in an instant.